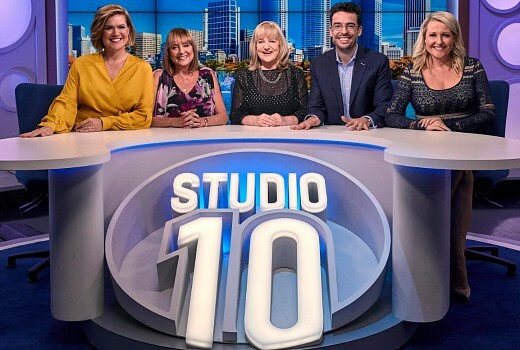 10 has announced 2019 changes to Studio 10 both behind and in front of the camera, from Network Director of News Content, Ross Dagan. Natarsha Belling, already a regular within the show’s family, will become a permanent fixture with news updates at the desk. She joins the show’s cast Sarah Harris, Joe Hildebrand, Kerri-Anne Kennerley, Angela Bishop, Denise Scott and Denise Drysdale. “Natarsha is already part of Studio 10’s extended family. Her journalistic credentials along with her warmth and engaging nature, are a natural fit for the program,” said Dagan. Tamara Simoneau is appointed as executive producer from January 14 with Lucy De Luca as acting executive producer to depart. The show has been without a permanent exec producer since Rob McKnight exited in late 2017. Simoneau has five years as senior executive producer on the Canadian edition of Entertainment Tonight. “I’m thrilled to be joining a team with such an incredible breadth of talent and experience. It’s an exciting time to be jumping on board with 10 and I’m looking forward to all that lies ahead,” she said. Tamara will commence as executive producer with Studio 10 on 14 January, 2019 and succeeds Lucy De Luca, who’s served as acting executive producer this year and been with the program from its inception. Not surprising but great to hear!! Enjoyed Tarsh over the years but always felt she was underused on the weekend news. Studio 10 needs to be trimmed back to its original length. Sometimes less is more. Was chugging along nicely until they extended it, that’s when all the turmoil began with Rob McKnight burning out. Natarsha is great, like her a lot! How many more changes are they going to make with this show? @ David Knox – does this article mean Network 10 are supplying you with news releases again?